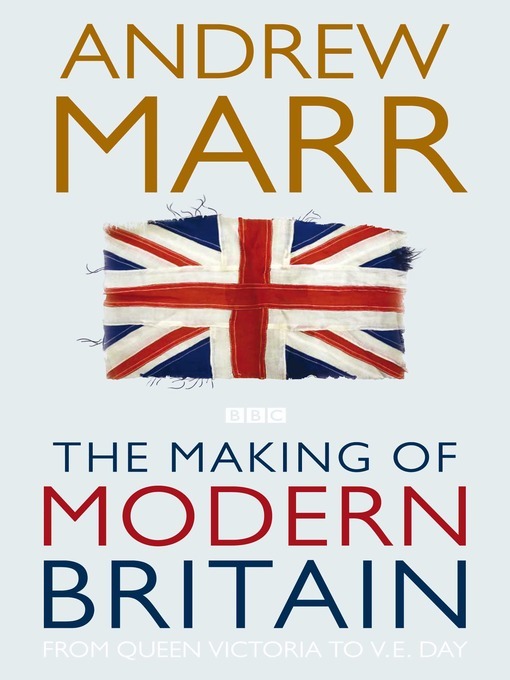 A new meme I will be hosting, will be A Trip Through Time where I will be sharing interesting snippets of facts from the current History book I am reading, analysing a historical fiction book, looking a historical film/documentary or occasionally talking about a trip to a museum/historical sight. A Trip Through Time will be a meme I post biweekly on a Friday. This week I am kicking off with a little flashback to my time in Iceland, when I visited a little island off the south coast of Iceland, which is part of Vestmannaeyjar (Westman Islands). The only island actually inhabited is Heimaey. The island actually has a volcano which unfortunately erupted in 1973 and devastated the town by destroying many of the buildings and forcing the population to flee to mainland Iceland. 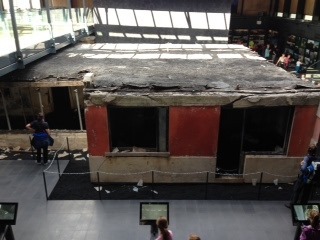 Whilst I was there, I visited the little museum that has been built around one of the excavated houses that was covered in ash and lava rock, that told us all about the events of the eruption. We got a little headset and phone that you could walk around all the different areas and be informed of all the different events. Luckily all the islanders were able to escape from the port in small fishing boats, but at this time, the closest harbour was Reykjavik which was a four hour boat journey up the coast in stormy weather. It sounded rather frightful for these people who had to abandon all their goods! In addition to this, all their cattle was brought down to the harbour to protect them, but because they did not have any food to feed them, they all had to be put down. A very unfortunate set of events! The volcanic eruption at the time, was entirely unexpected and in the January of 1973 when it erupted, in the middle of the night, people were at first unaware that it was going off. A young boy of one family who lived up near the volcano was said to describe it as being like New Years Eve again, thinking it was fireworks going off. In some respects, the volcanic eruption was good for the island because it enlarged the island with the flurry of lava rock and ash creating more land, and the excitement of the volcano has also helped to draw in a lot more tourists to the island to increase its revenue. However, it is clear that it has not entirely recovered from the events in 1973 because only 1/3 of the population of 5,400 returned to the island after, and currently the population is now around 4,200 on the island. Having said that, it is a beautiful little island, and it has definitely managed to rebuild itself with many of the individuals buying their own land and building their own houses which is seen in the mismatch of building styles and structures. It also is home to a large population of puffins who breed in the summer and live up in the cliffs, unfortunately I did not get to see any puffins because we did not want to venture round to clambering cliffs! The history of the island going even earlier back, is riddled with invasions, such as when the Turkish Ottomans raided the island and took many locals as slaves who were taken to a slave market in Algeria. There was also a little fort down near the harbour which had a wooden church given to the people of the Island by Sweden. So there was definitely a mix of culture and heritage in such a small island that I found so utterly fascinating! I am not sure about you guys, but I do not think I could imagine living on an island with an active volcano, it seems a little too like living on the edge! Still, it was a lovely little island, and whilst the museum was fairly small, it was interesting. I do like visiting museums and hearing all the history of a place, how about you guys? Thank you Aidan, I hope people continue to like the posts, we’ll see how it goes! I’m glad to see that this quaint little island managed to get back on its two feet. I know how volcanoes can be deadly 😦 My country (an archipelago of 7107 islands) has many of them, and there’s actually a major one near my hometown. It erupted violently in 2004, but unlike these people, the people didn’t evacuate (they probably thought it was nothing), and it pretty much buried the surrounding towns .__. Ugh, sorry for posting something SO depressing on this post. But yes, Iceland is a country I want to visit someday. 🙂 Thank you for the highlight. Not at all, always so very interesting, but I am sorry to hear that the people near your hometown did not evacuate, that is so awful! I hope if you ever get the chance to visit Iceland, I hope you enjoy it. I agree with you, I don’t think I could ever live on an island with an active volcano! I hear about this kind of thing happening too often. I saw a TV special about a guy in Hawaii who lived dangerously close to an active volcano, an he had a ton of close calls before his house was finally engulfed in lava (he had to be airlifted out). I’ve been to Reykjavik briefly and it was beautiful! I should definitely check out Heimaey if I ever go back. Wow, that is so scary, I would not want to dice with death so much. 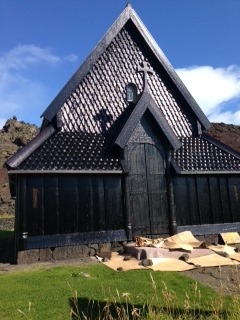 And yes, I definitely recommend Heimaey, bit of a drive to get to the port, but well worth it in the end. I imagine it is, luckily living in Britain we do not really have earthquakes thankfully. However I do hope with modern technologies they are able to predict the volcano eruptions much more now. And yes, I think everybody would know everybody in such a community! And thanks, Rachel!